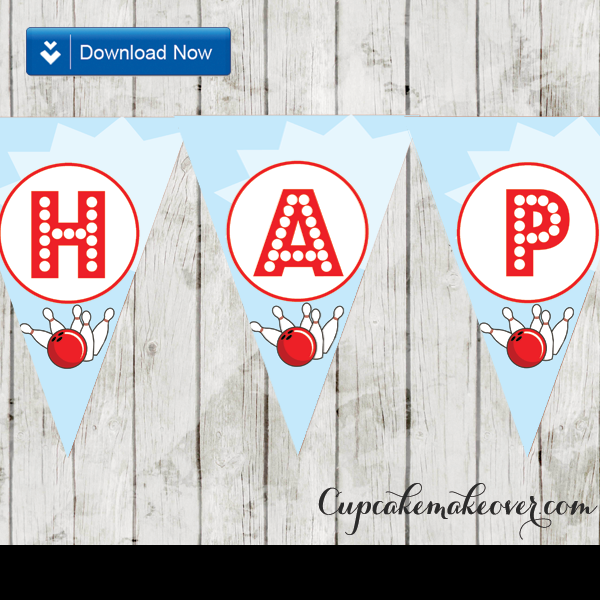 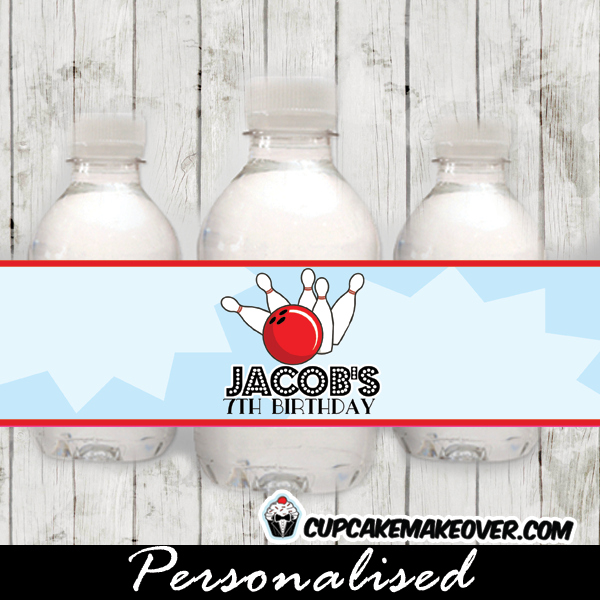 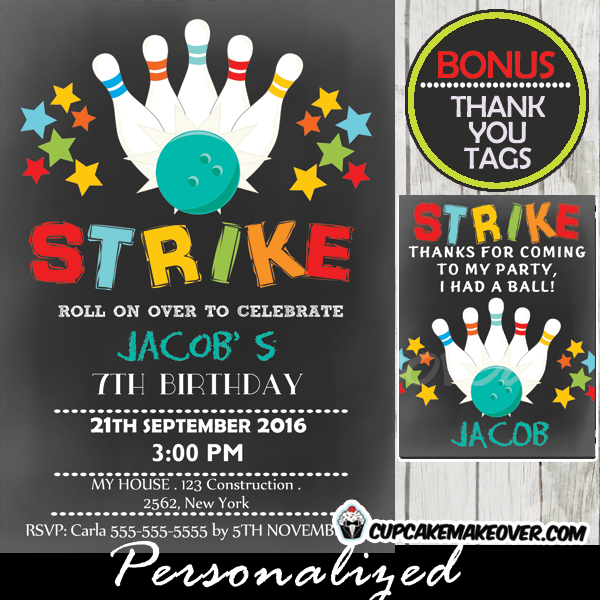 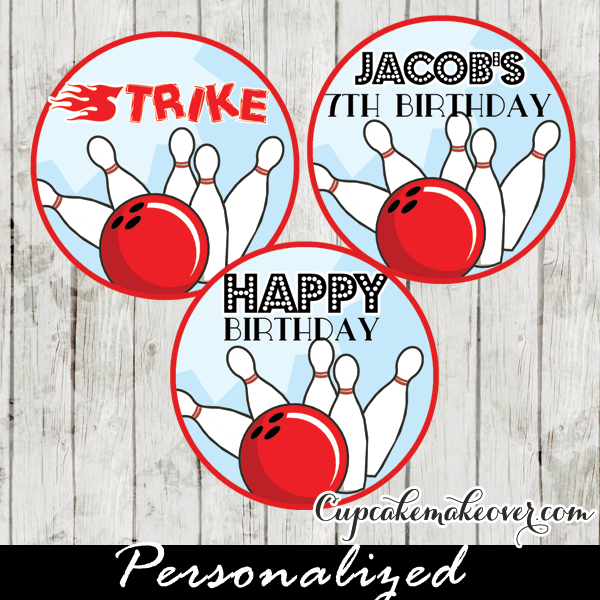 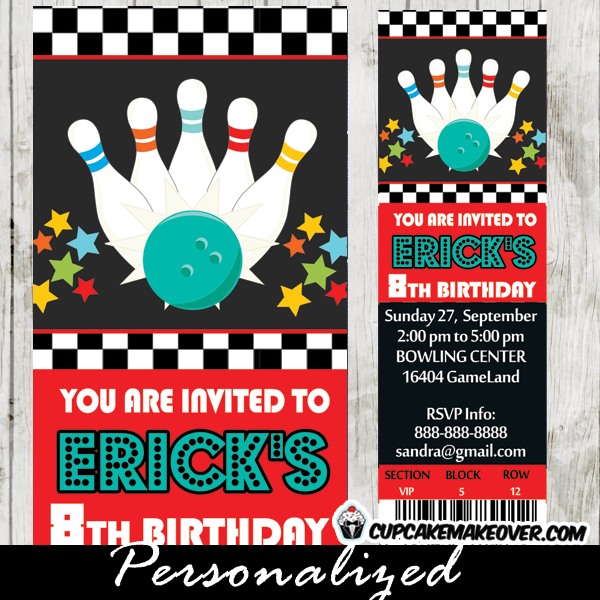 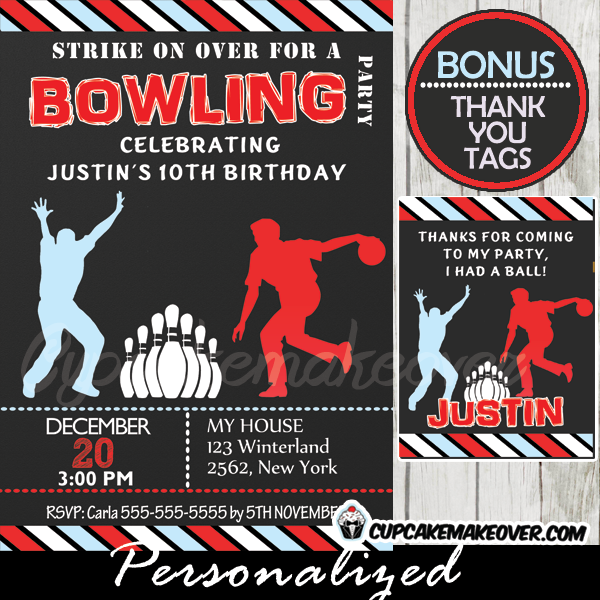 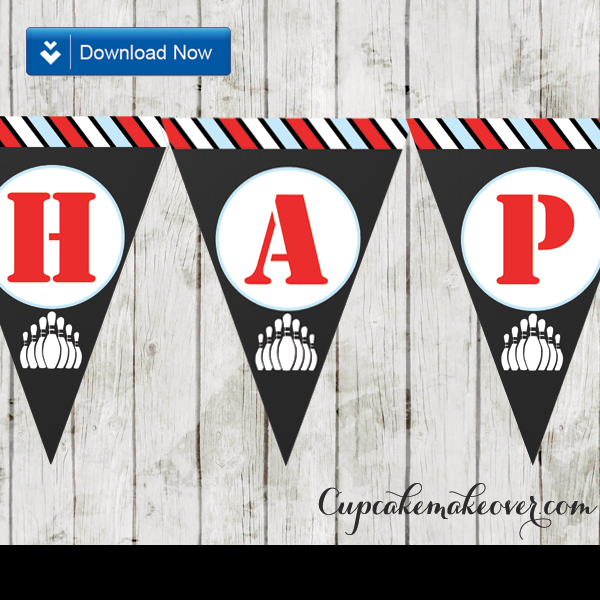 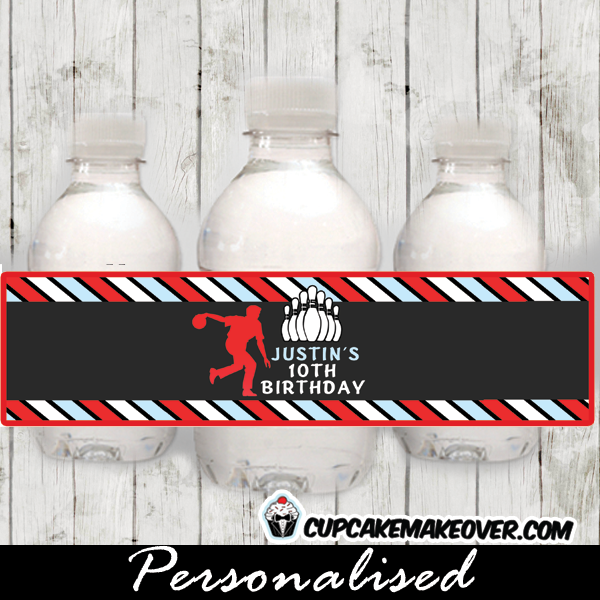 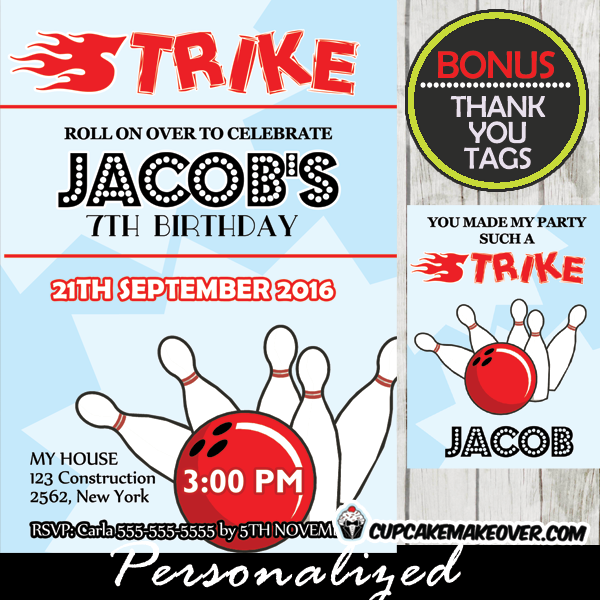 Printable Blue Bowling Ball & Pins cake or cupcake toppers personalized for your boy offer so many party decoration ideas! 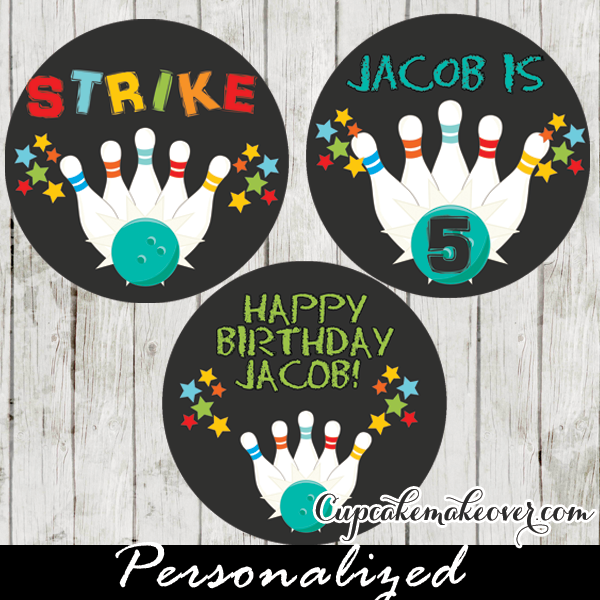 The custom circle toppers feature a blue bowling ball strike multiple pins against a chalkboard backdrop. 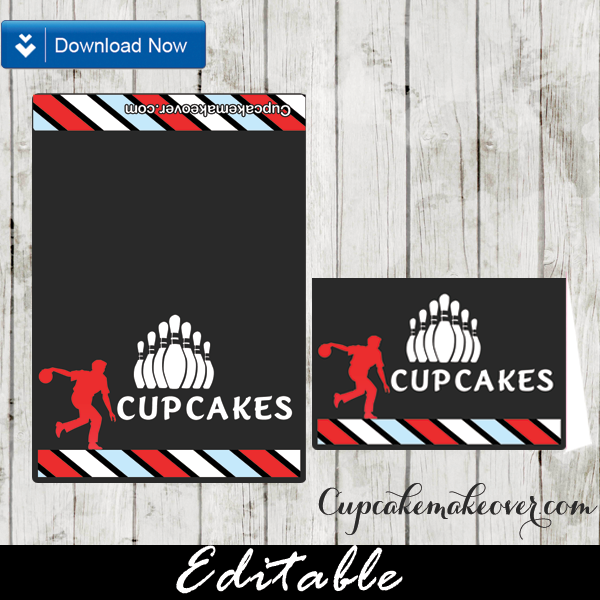 They can be printed on cardstock or sticker paper for a variety of uses including favor tags, gift bag labels, cake or cupcake toppers and custom stickers!